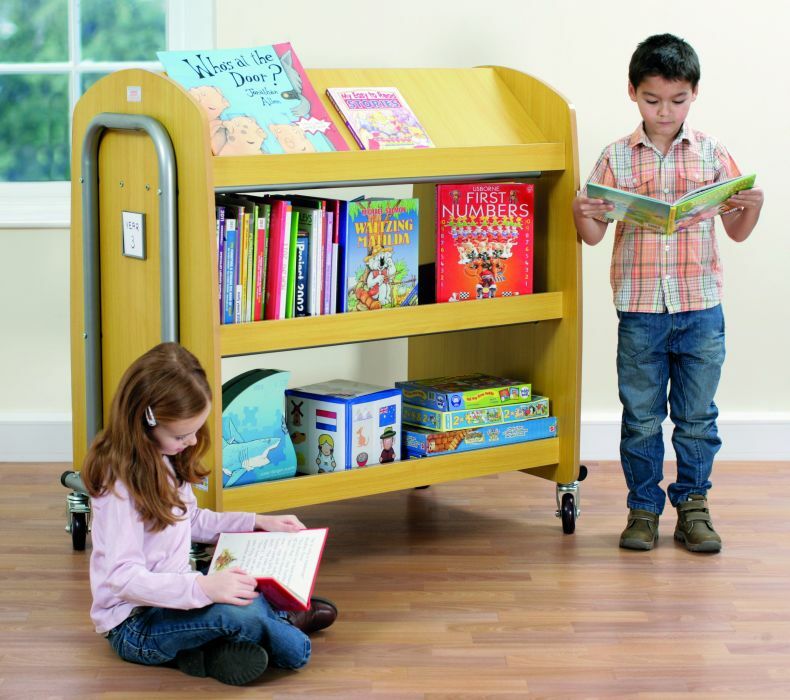 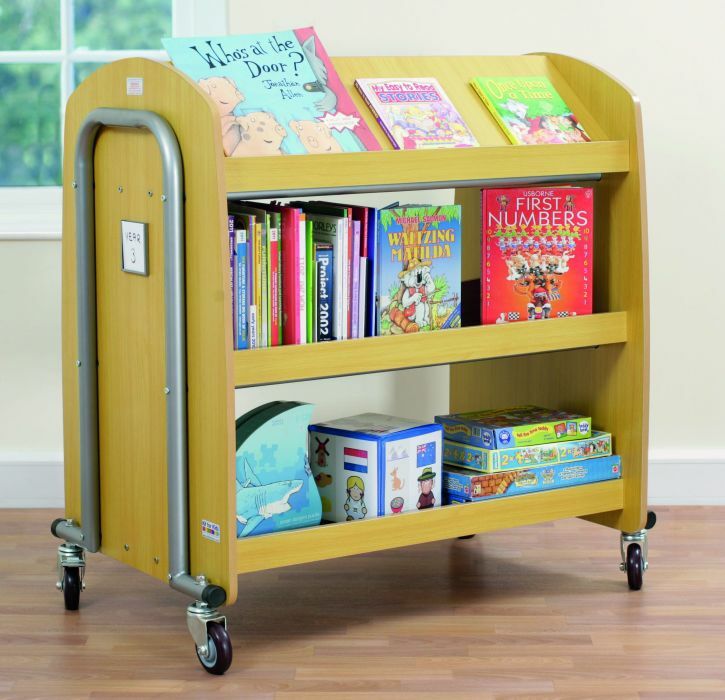 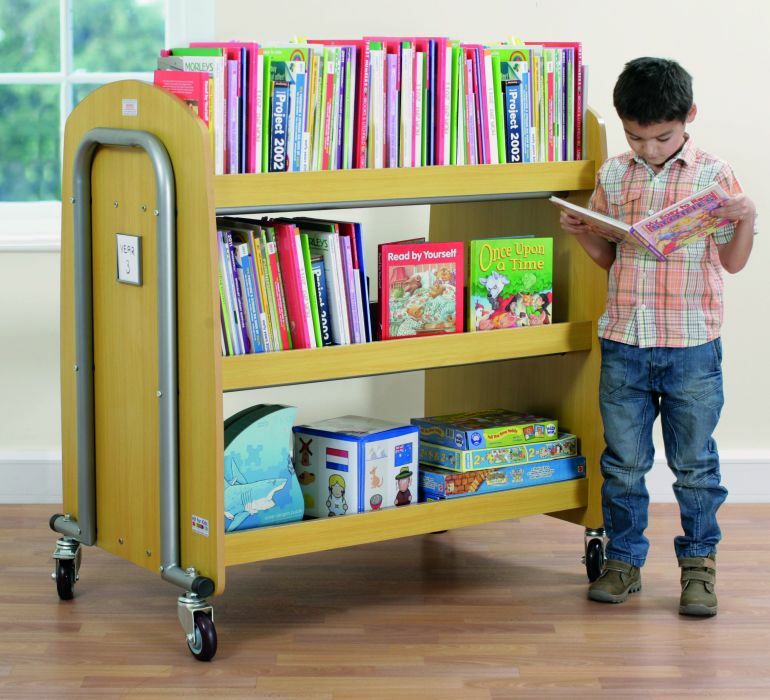 High-quality premium, heavy-duty library trolley with double-sided shelving great for spine facing book storage and display with a centre divider and shelf lip. Also includes a removable display shelf for forward facing books. 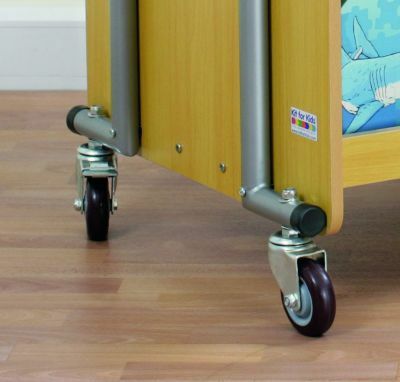 Sits on four heavy duty castors, two lockable.